**REMODELED**!! Adorable home with SO many upgrades! 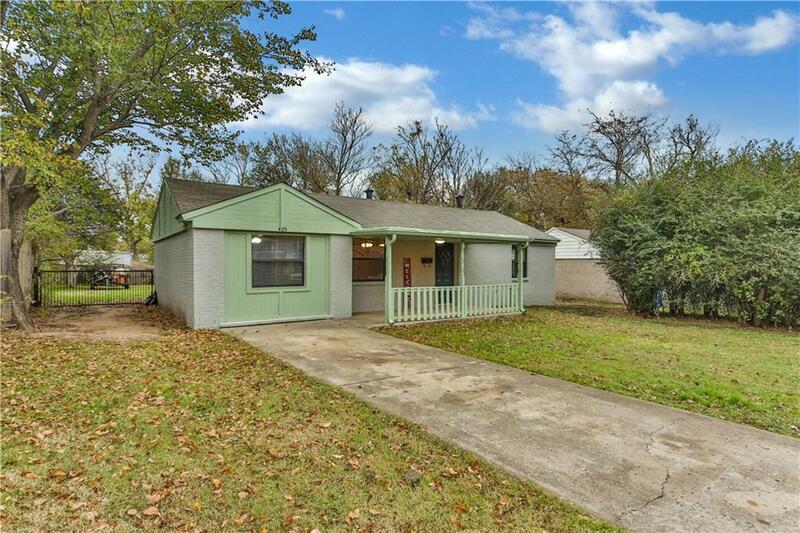 New interior/exterior paint, new carpet, kitchen features painted cabinets, refinished counter tops, new backsplash, tile flooring, dishwasher, disposal and vent hood! Gorgeous laminate flooring in living area. Beautiful crown molding in living & dining areas. Bathroom is a COMPLETE REMODEL!! Large laundry room with tons of storage. Large backyard with access through large gate on side. Two storage buildings (8x10 and 16x10) both with electricity, heat & air!! Enjoy your morning coffee on the large, covered front porch featuring new wooden cover updated in October 2018! Don't miss out on this lovely home!